If you nurture lofty ideas for your garden but feel restricted by its size then this article will show you how to turn meager into magnificent. Landscaping, tree cutting (employing a qualified tree surgeon) can all help to fashion a world away from the rigours of everyday life. No matter how cramped space is, landscaping can still give a petite patch of paradise that cultured look. Adding a well-maintained lawn can be appealing to the eye, especially if it is landscaped into an unusual shape. Using different materials, such as gravel or wood mulch, to establish a path through the lawn can provide a contrast to lure and intrigue the imagination. Just because you are working with a more confined space, it doesn’t mean that you can’t think about planting trees. It’s merely about recognising the appropriate trees for your space. A garden hawthorn, juneberry or cherry tree would all help bring structure and a place for wildlife to thrive. 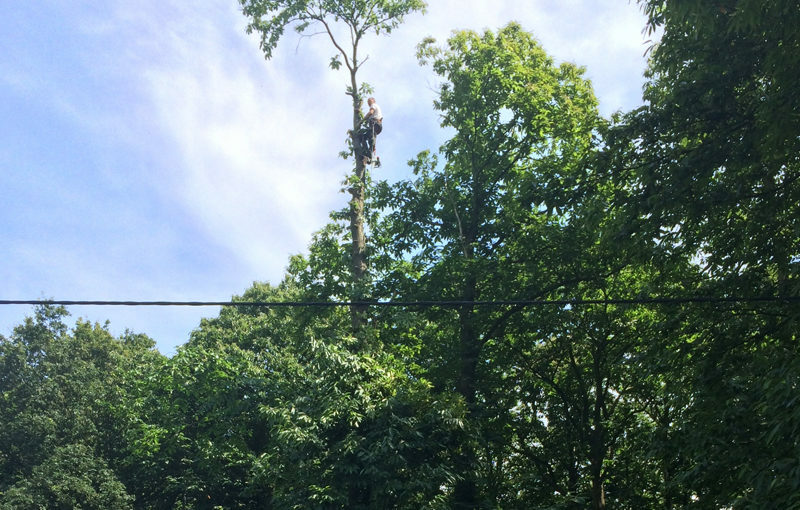 If you find your garden has been lumbered with an ill-fitting tree then consider tree cutting. 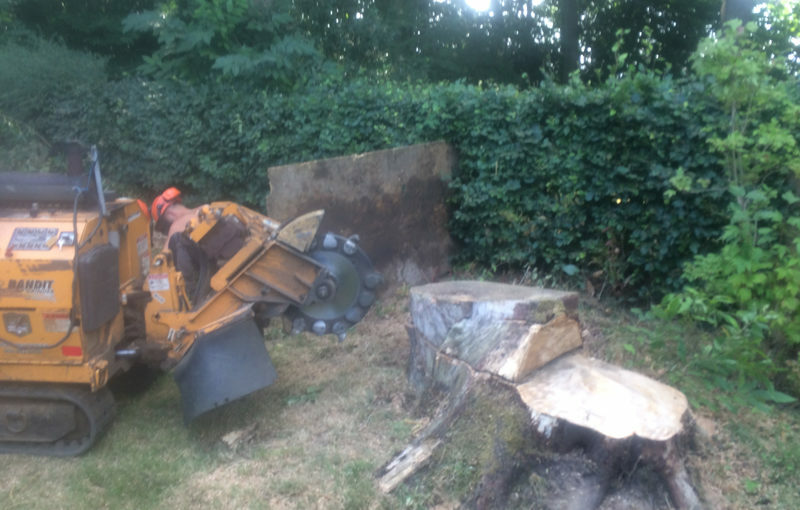 As reputable tree surgeons, we have felled many a tree in the St Albans, Harpenden and Borehamwood area to help create space in smaller gardens. Using pots, window boxes, old step-ladders or even refurbished old pallets to plant and show off small flowers or ferns can help maximise space and develop unique features. Perennials are best situated around the border of a lawn while filling portable pots with seasonal flowers and plants can create spectacular hotspots within a garden. A climbing plant is an effective way of displaying colour and engaging the eye in a confined space. Whatever way you choose to utilise your space don’t forget that lighting can also be a tremendous way to produce a relaxing atmosphere. Festive fairy lights, spike lights and LED candle lights can provide an affordable way to illuminate your idyllic patch of greenery. If you’re still stuck for inspiration and you live in the St Albans, Harpenden and Borehamwood area get in touch and see what we can do to help transform your garden. How is garden waste recycled? At Oaklands we are concerned with being an ethical company and doing our bit to make sure we operate in as sustainable a way as possible. 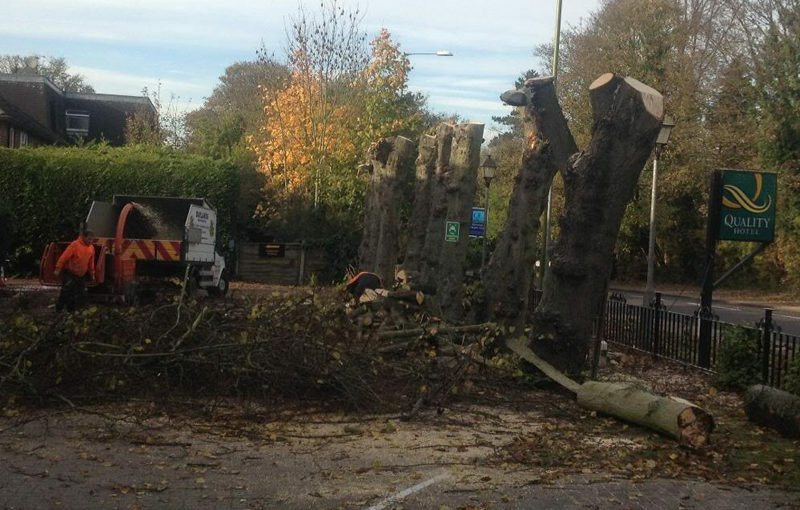 As a tree surgeon and registered waste carriers for Harpenden, and St Albans, you know that we will recycle as much material from your garden as we can, and what we take away mostly comprises hedge and grass cuttings, small branches, weeds, flowers, and bark. This gets taken to the recycling centre to be turned into compost. This process varies slightly depending on whether food or kitchen waste is composted with it, as the regulations regarding the way leftover food can be processed vary. For simple garden waste the material is shredded and then left in the open to compost, which happens pretty quickly due to the heat generated by decomposition. Composting at this scale produces heat of up to 60%, which speeds up the process, and conveniently kills off weeds and plant diseases. After around 10 weeks the substance is ready to be used as compost. If we remove a tree or branches from your garden that are too big to be processed into compost there are other uses that could be made of this useful, natural material. These include: Continue reading How is garden waste recycled? Do you have a garden that isn’t working for you? Getting your garden right can be a project that takes a tremendous amount of time and work – and requires know how and expertise. Luckily there are people out there who can take the strain out of making your outdoor space beautiful, so why not find a professional landscaper? The service of a landscape gardener can save you an enormous amount of time and energy, and when you factor in the cost of buying plants and materials or hiring equipment at retail prices, their services can prove to be real value for money too. The trees we find in the South East and indeed all over the UK are mixture of ancient natives and non-native species – all of which help to make up the familiar landscape, and many of us may recognise the shape and colour of trees around us, without always knowing what they are called. Oak: commonly found in the South and central UK the oak is instantly recognisable and rich in mythology and symbolism. 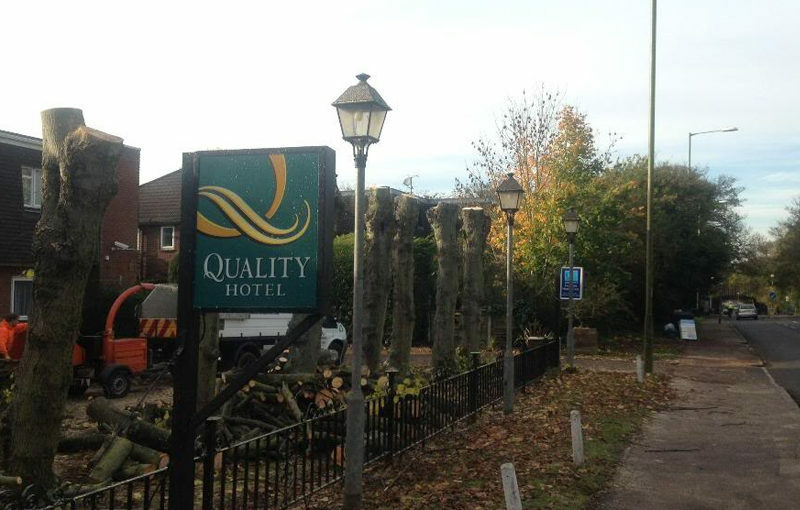 Look out for signs of trouble from the Oak Processionary Moth and Acute Oak Decline. When we finish a job we take pride in leaving your outdoor space free of waste and debris. As registered waste carriers we will dispose of vegetation, wood chippings and any other leftover material responsibly, and recycle as much as we can. Whether it’s taking up too much space or is dead, or causing a hazard, you need people who know what they are doing to properly fell and remove a tree.